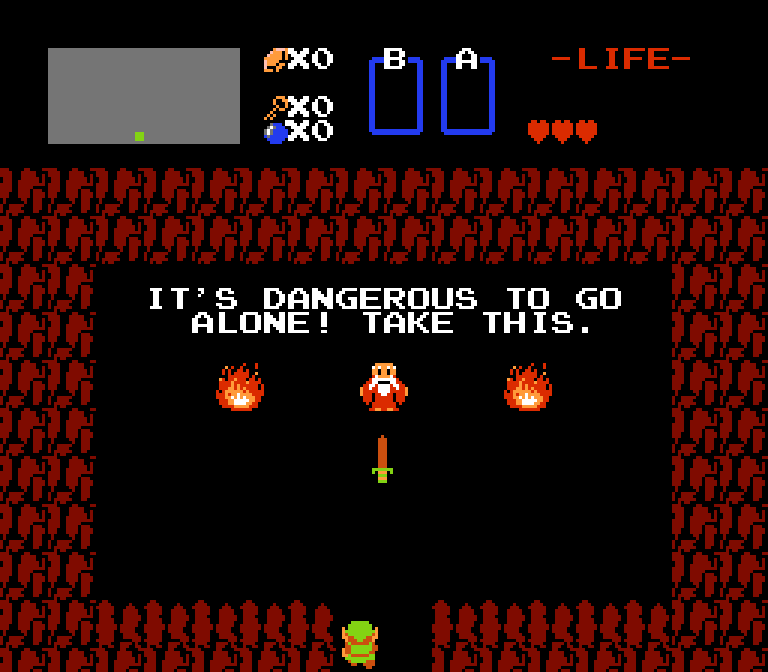 I’m not Link, but if I were (and I kind of wish I were, because honestly), this is the point at which the old man offers me a wooden sword. They’re as good as swords–or better, really, since I’m doing a lot more reading than slaying bats in caves–and they are excellent company (and my fellow residents are good company, as well). 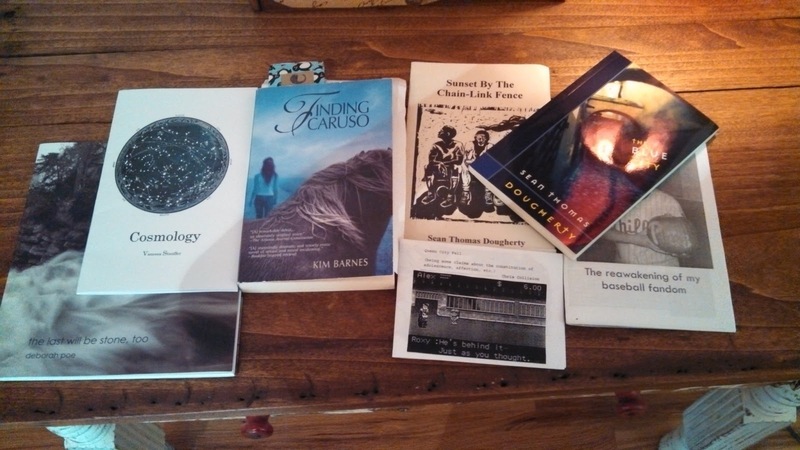 These are books and chapbooks and zines by people I know or that have been gifts from folks I know. In order, from left to right: Deborah Poe’s the last will be stone, too, Vanessa Stauffer’s Cosmology, Kim Barnes’s Finding Caruso, Chris Collision’s Queen City Fall, Sean Thomas Dougherty’s Sunset by the Chain Link Fence & The Blue City, and shortandqueer #10, The reawakening of my baseball fandom. I’ve also brought a ton of reading for research purposes, some directly related to projects, some indirectly. If you want to carve yourself open while an author carves herself open on the page, pick up A. L. Kennedy’s On Bullfighting. A. L. Kennedy is always brilliant in the fiction I’ve read & her regular column for The Guardian, but this book is hard and beautiful and bleak, and also contains one of the most powerful meditations on Lorca I’ve ever read. Melissa Montgomery, wherever you are, this was the conversation on duende that your Lycoming College honors project wanted. Here at Jentel, I have a room of my own and a studio in which to work, as well as gorgeous common spaces for absolutely everything else. 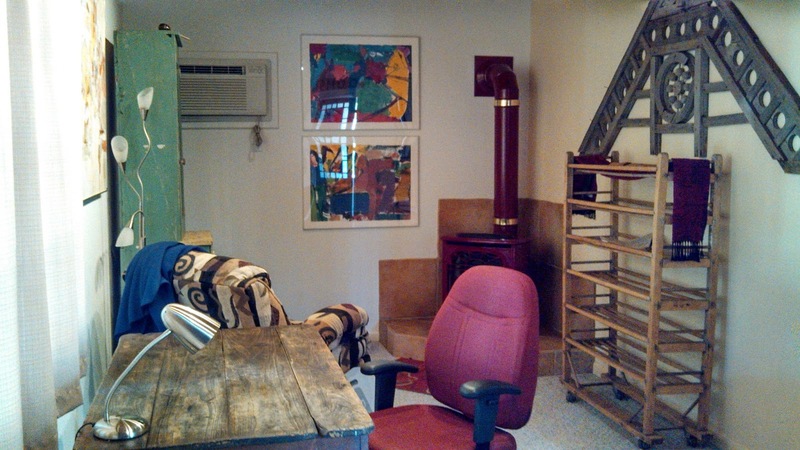 My studio, before I decorated it with piles of books, three separate & full travel mugs, and a plush stegosaurus. There’s much to say about Virginia Woolf and rooms of one’s own and that’s something that I believe in desperately. Space is such a necessity and a privilege, and the Jentel Foundation has provided truly superlative space in the way everything has been planned. 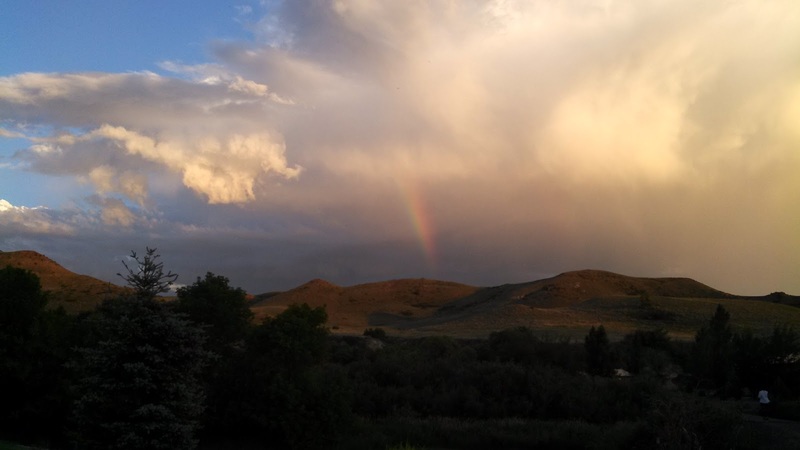 But to have this space as well–even with a first-night rainbow over these prairie swells, the not-quite-foothills of the Bighorns–is something particularly moving. On Tuesday, in those hills, I also got to see my first rattlesnake in the wild. It was lying beneath a clump of sage I was intending to step past, and my preceding rustle gave us both twenty-four inches of warning. I didn’t have a sword, but I didn’t feel much of a need to have one, either. The snake moved slowly and silently in its direction (without shaking its tail–I’m a little disappointed not to have heard it, but glad too I didn’t vex it to that point), and maybe I decided to change mine, but that’s all right. I had friends waiting at my desk. That picture is too beautiful for words…nevertheless, I hope it inspires yours.